Next time you take to the field to go hunting be sure to bring a name of ammunition with you that you can trust. 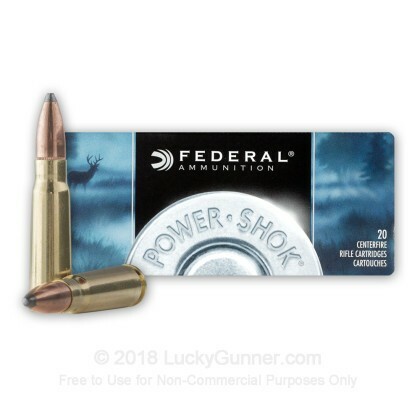 Federal's Power Shok ammunition has long been held by hunters to offer consistent, reliable performance. 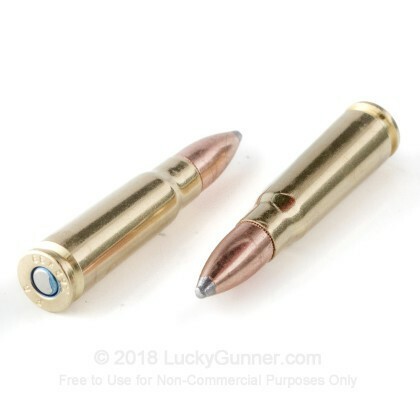 This brass cased ammunition features a soft point projectile designed to expand on impact leaving a large clean wound cavity. 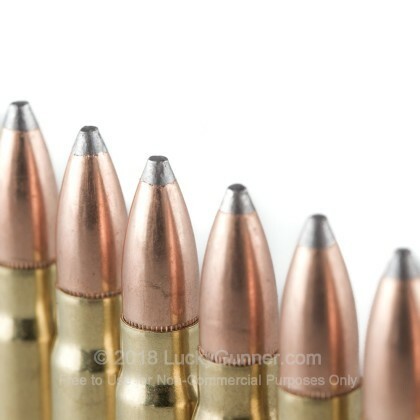 This ammunition is non-magnetic making it a suitable choice for ranges that do not allow any steel in the projectile. Tried six different brands of ammo thru a SKS with a scope to see which was better. All the steel stuff was crap, groups were about eight inches, most of the brass shot the same, between two and four inches. For the price I'd save these for your hunting choice and plink with the cheaper stuff. This is the good stuff, My #1 deer hunting load. Great ammo, sub moa out of my CZ 527 carbine out to 200yds. avg. vol. 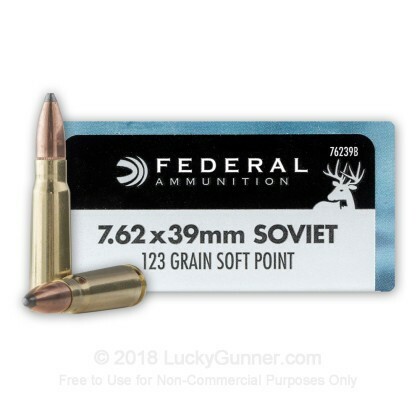 out of the 18.5" barrel is a bit slow (2275 fps / es-19 / sd-9 ) I've killed 5 deer with this ammo in 3 years, drops them easily. None have run over 20yds. Got two this year both about 150yds. 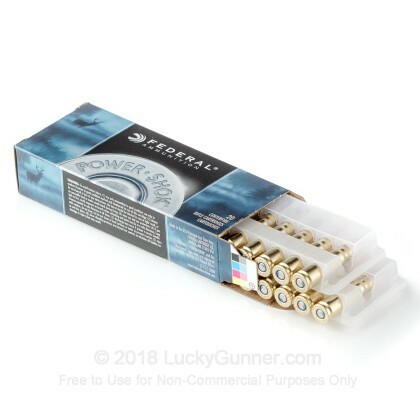 For factory hunting ammo, This is the best I've found.